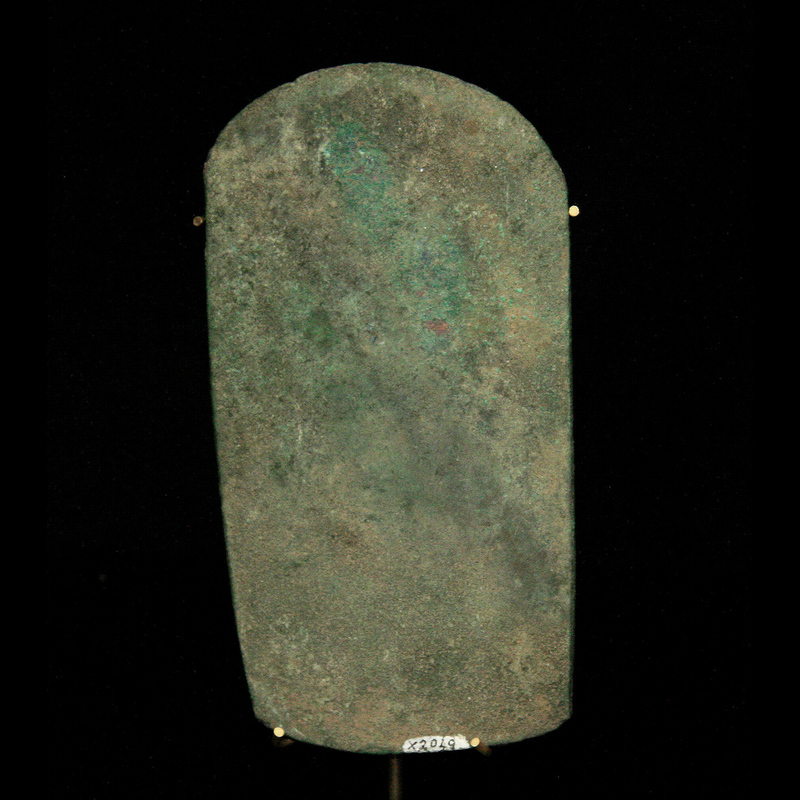 A Gangetic valley copper axe. Fine condition with verdigris patina evident. Presented on a custom display mount. Fine condition with verdigris patina evident. Presented on a custom display mount.